Date posted: August 31, 2015 by: JasonDarkX2 Category: Gaming 6 comments. 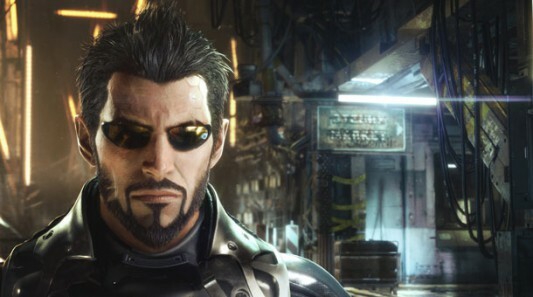 The long awaited Deus Ex: Mankind Divided gets some pretty interesting details coming out from PAX 2015. 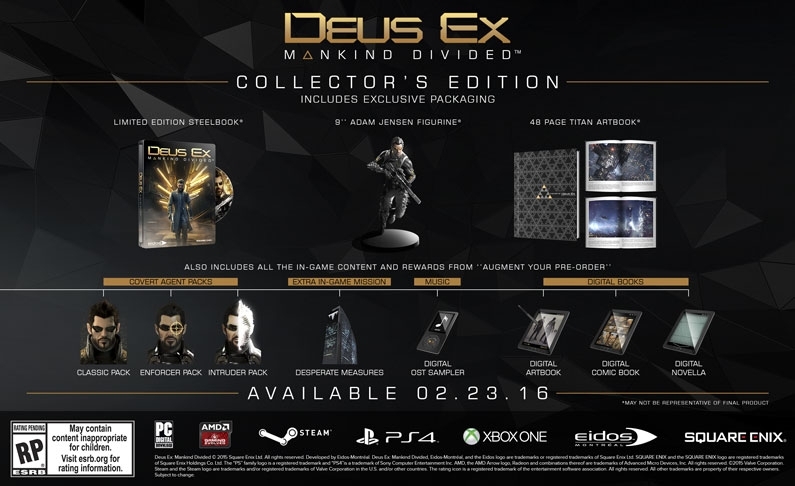 When Square Enix unveils Mankind divided collectors and official release date of February 23, 2016. 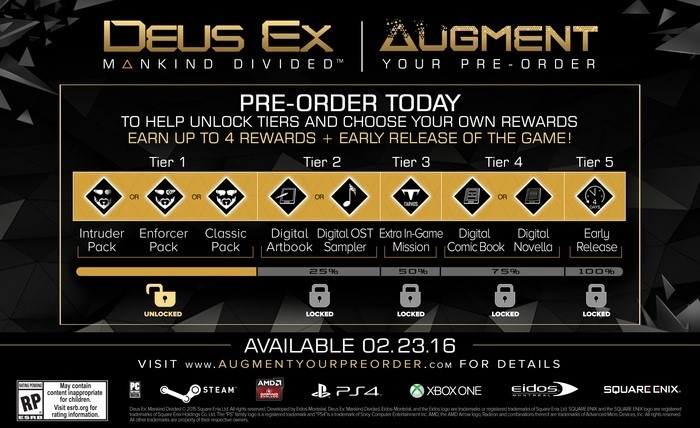 It wasn't that bad until they announced the pre-order bonuses which were obliviously a massive, elaborate cash grab plan, with over 8 digital content locked behind this pay wall, but the final pre-order tier is the one that has gotten everyone on the internet angered and offend. Ah yes, just look at this bloody mess. 4 tiers of goodies, but you only one of each in each tier what is this nonsense, so four extra content and 4 days early release date. Hubbub what you say, Square Enix. 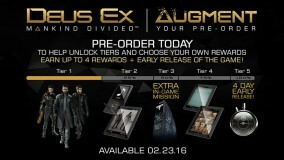 If they reach maximum pre-order goal they will release the game four days early. Yeah, you heard it, they confirm they could release the game 4 days early, but decided to put it behind a massive pay wall. Talk about offending your fans and customers for the crash grab scheme. 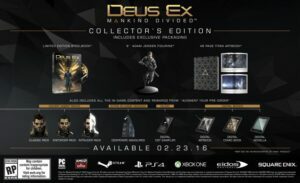 9 inch Adam Jensen Figurine. 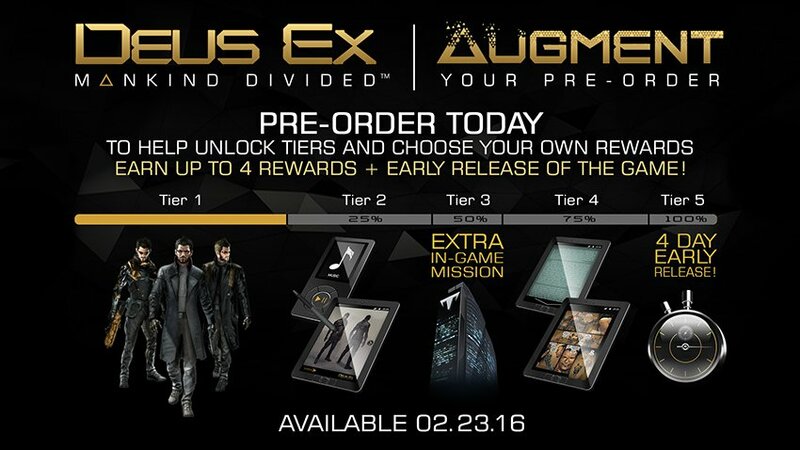 All Preorder bonus from the “Augment your Preorder”.